Blessed Being, this is your momentum of Mastery. Form Formed, ever forming. As you incorporate the expanse of time, the movement of time within—you understand and expect movement through Life. Your forgetting is your only obstacle. Your FOCUS is your work. As you play with that, you find your Mastery. Here we speak of 11, for this is the portal portended. You recognize it because the time codes within you have been culminating to this point. Yet a point is always a precipice, awaiting your leap of F.A.I.T.H. (Full Acceptance In The Heart) to fly. The expanse broadens, the movement continues. What is this moment for you? Do you know your power of chaos, your power of perception, your power of choice? Do you Know who you are? This is your work. It is all within you, Master. This you have been learning and now this you live. It is your Flow that determines your moment. When you are in Flow, you are in Mastery, you are in Empowerment, you are in Creativity. You are in the natural current of Life; creating, changing, moving and yet still within time. See this in your perception, for it is your creative foundation. You perceive, you choose, you perceive, you choose. Your perception is like a still photograph, a moment captured in time. From this marker, you choose and new direction begins. It’s so ingrained in life that you overlook it, not seeing the forest for the trees. You have not believed that your choice is that powerful, for your need for proof has deterred the understanding. When you choose, you release control to the whole, for you do not create alone, you choose alone and create with All Life. All forces have their opposites; it is the reflection of Life. The singularity (you) requests through vibrational emanation and the Whole responds. It responds because All Life is connected, and yet your singularity is True, too (two). Singularity is two? How could it not Be? That is the 11. The reflection in form is formed, yet ever forming (the echo). Empowerment Within is you allowing the natural functionality of Life to Flow to you, through you, with you and without you. When you Trust the natural Flow of Life, you create with ease. You have no need of fear, for you see beyond the chaos of the moment into the Knowledge of Life. Here you see the trees and the forest. The Master Knows All is Well, for Life balances itself. The Master Knows the details are forming by natural response to energy; at once silent and melodic. The details—infinitely complex; yet as simple as Love. Love Knows when response is needed. Love Knows when support is needed. Love Knows when space is needed. This is your work. Relax into Love, Master, for the reflection presents volumes to you. Perceive Love. Choose Love. From the simplicity of Love you will see the Truth of chaos. You will feel the ease of information. You will recognize the benevolence in all experience no matter the outward expression. You are eternal and you are now. Embrace both and your reflection is formed, ever forming. Life becomes the codes that nourish you, the codes that excite you, the codes that remind you, the codes that Love you. The forest is revealed. 11. You are home. 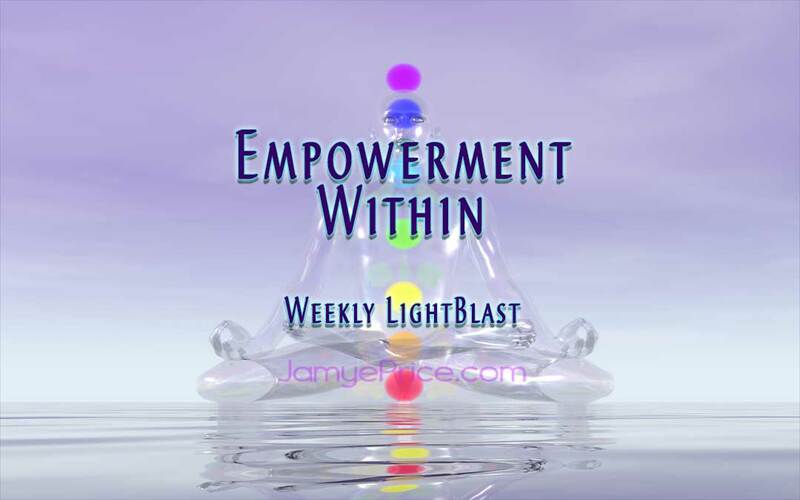 As we sit to Blast Empowerment Within, we are accepting the full flow of the codes that call us. We are remembering through All Time the Truth of who we are. We are not just One, but Two as One-unending; Self and the reflection, Self and All. We are Free within our perception and focused in our choice. We are the Masters we’ve been waiting for, (four) formed.. We are seeing the reflection through the perception of Love, our True Power. We are the strength that nourishes the moment, nurturing the new world through our powerful Being. The chaos is your playground. Are you having fun yet?